Marcelle Smart leads the Consulting Services of tTech Limited applying over 20 years of IT Service Management and Project Portfolio Management experience. She is known for her unique ability to help organisations balance the allure of cutting-edge technology, and the demands of tomorrow’s business needs against the reality of today’s budget. Ms. Smart’s multi-faceted portfolio includes support for. Financial, Retail, Food Manufacturing & Distribution industries. IT Due Diligence to support Mergers & Acquisitions. Prior to joining tTech, Ms Smart was the Country Manager for Microsoft Jamaica Ltd, where she drove the local implementation of Microsoft global go-to-market strategies. Further, Ms. Smart launched initiatives that supported innovative technologies being made available to Jamaica, and spearheaded the donation of software to the NGO sector. For approximately six (6) years Ms. Smart led the IT team for the GraceKennedy Food Division. In this capacity Ms. Smart also sat on the GraceKennedy Innovation Committee and committees responsible for the governance of the GraceKennedy Group’s IT portfolio. Ms. Smart also has eight years of experience with the financial industry, culminating in the post of Assistant Vice President (IT) at Manufacturers Sigma Merchant Bank (now Sagicor Bank). Ms. Smart’s body of work is built on a solid foundation of experience gained at PriceWaterhouseCoopers. 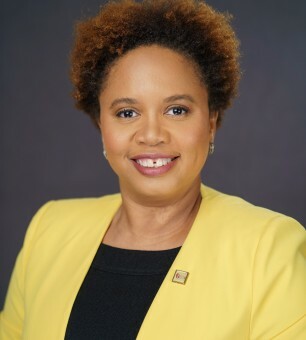 A graduate of The Queen’s School and Campion College, Ms. Smart is proud to name the University of the West Indies (Mona) as her alma mater for both her degrees in Electronics (Bachelor of Sciences) and Computer Based Management Information Systems (Masters of Sciences). Further, Ms. Smart has on multiple occasions served the University as an Adjunct Lecturer in the area of User Interface Design. A founding member of the Jamaica IT & Services Alliance (JITSA), Ms. Smart is now a member of the Board for the Universal Service Fund. Ms. Smart fosters the development of female leaders in IT through 1:1 mentoring and is proud to be part of the Red Shoe Movement global community (https://redshoemovement.com/), which supports the career growth of women.